"Drink lots of water, it's good for you." 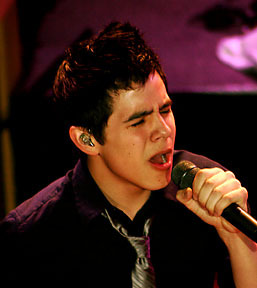 If you watch American Idol religiously like I do, then you definitely know who David Archuleta is. If you don't watch the show, then you will become familiar with him soon. The second runner up, of last years Idol contestants, should have a long singing career ahead of him. 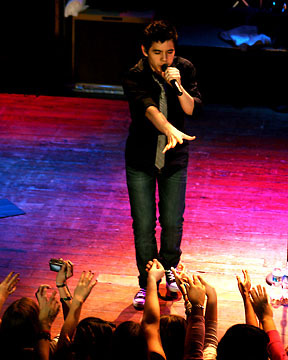 The 18 year old singer from Miami played for a sold out crowd at the House of Blues on Sunday. The crowd was full of very friendly moms with a slew of very excited children in tow. 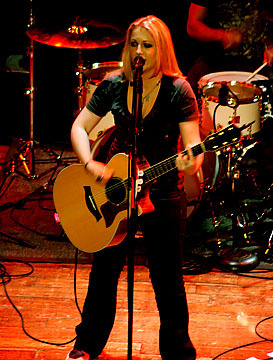 The concert started with Leslie Roy as the opening act. She did a very long set, that the children in the audience enjoyed, but bored the adults. Her pop sound was offset by her raspy voice that made her songs more edgy. Some negative comments that I heard from the adults in the crowd were "She smokes too much, and she's so young." 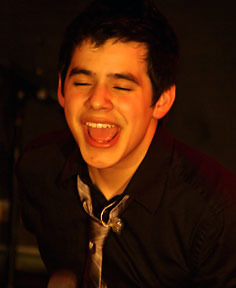 An excited David Archuleta came on stage with a gigantic grin on his face. He started with the velvety "Touch My Hand." His second song "Too Many Barriers" made the crowd scream every time he belted out a note. David seemed genuinely grateful to have the opportunity to perform for audiences every night. I lost track of how many times he said "This is awesome!" In his state of over-excitement he had one his band members take a picture of him with the screaming audience in the background. He sang his current single "A Little Too Not Over You," everyone sang along, including the adults. He then sat on a stool next to his guitar player and sang "Somebody Out There" his voice sounding more mature beyond his years. His falsetto voice rang beautifully throughout the theatre. His next song was making fun of how clumsy and dorky he can be, but as he said "It works for me." 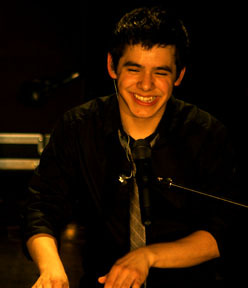 After he sang the song "Waiting For Yesterday" he laughed a bashful laugh that even melted the adult's hearts. He sang a medley of songs from the '90s to now, acting like the '90s was so long ago. 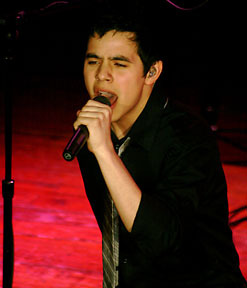 The medley included "Gotta Be" by Desiree, "Love Song" by Sara Barallis, and "I'm Yours" by Jason Mraz. He put a little bit of his own spin on each number. 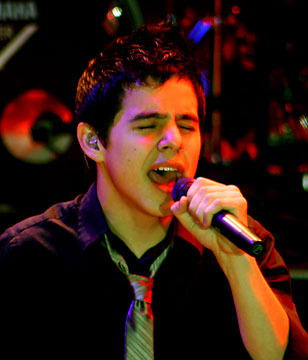 The next song he sang was co- written by Kara Diguardio, the new judge on American Idol. 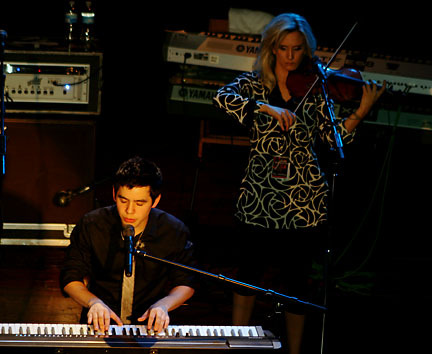 It was performed with his piano player playing violin and singing the melodies. It was a very pretty song. 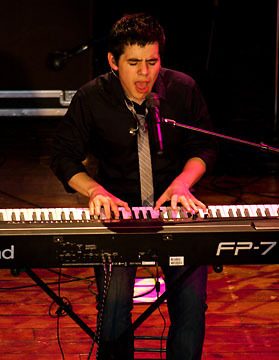 He gave the audience a special treat by singing an unreleased song called "Zero Gravity." It was very different from his other songs, more of an electronic/rock feel. The fun in the house became magnified as he jumped around the stage wildly. He slowed things down a bit with "You Can" a very romantic ballad. Lisa Dalletezzee from Monoeville, Pa, flew in with her best girlfriend just to see the concert. She said that was "one of her favorite songs on his album." 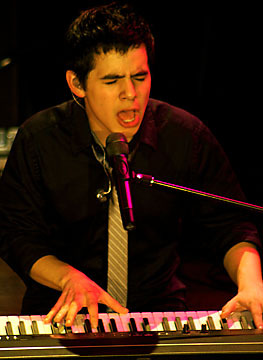 His pitch perfect whole notes were beautiful. He sang his first single "Crush" and everyone sang along. He briefly left the stage, but came back for his encore. He sat at the piano and sang his two favorite songs. The first was "A Thousand Miles" originally by Vanessa Carlton. David sang it like the song was meant for him. He ended with a tearful version of "Angels" originally by Robbie Williams. David put on an exciting, fun-filled show and judging by his enthusiastically warm performance has a bright tomorrow ahead of him.